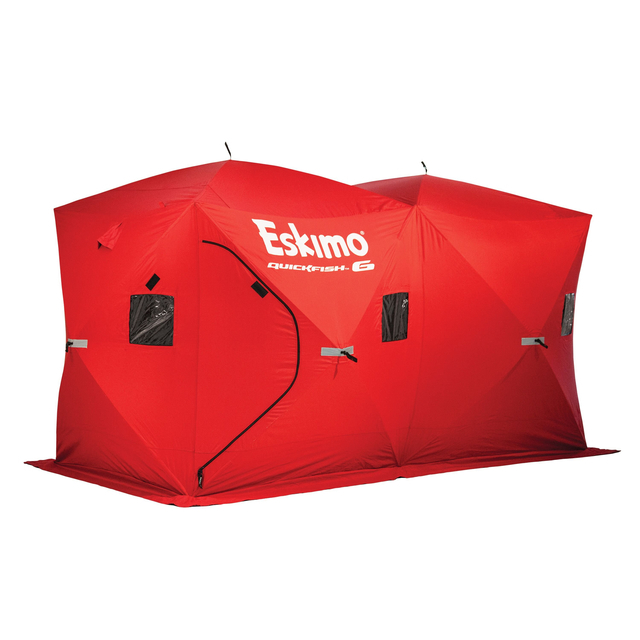 The QuickFish 6 is one the most portable ice shelter on the market, an angler has complete mobility to go where the fish are. A backpack holds the shelter for easy transport. Sets up in seconds and protects from the worst of elements. Extremely durable and comes with ice anchors for windy fishing. Set-Up Size: 140" x 70"
Elbow Room: 160" x 90"
Collapsed Size: 52" x 10.5" x 10.5"